Look north-east around midnight. Image: NASA. NASA has a report here, which mentions that the planets Venus, Saturn, Mars and the crescent Moon are aligned tonight in tight conjunction prior to the Shower. The report also tells you where you should look. The first records of the shower date back to 36 A.D., with a Chinese account of "more than 100 meteors" being sighted one early morning. This year's peak hourly rate is expected to be on the low end of the range, likely around 50. The best times to watch will be the overnight hours on Aug. 11/12 and Aug. 12/13, astronomers say. The peak is forecast to occur Aug. 12, between 14h and 17h UT, or Universal Time, said Arlt. Unfortunately, that's 10 a.m. to 1 p.m. EDT. Observers in Hawaii should see the peak under dark skies in the very morning of August 12, and parts of eastern Asia will see the peak fall during night hours, Arlt said. 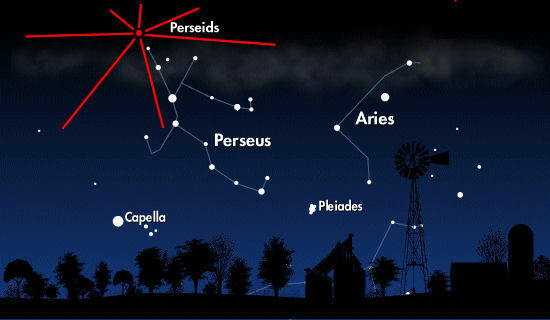 'Those who have dry transparent air may be able to see up to 50 Perseids an hour,' during the peak, said Robert Lunsford of the American Meteor Society. Hazy humid conditions would reduce that count. A dozen or more per hour could also be visible a night or two before the peak, and then a night or two after. The shower continues through about Aug. 22, by which time it will have wound back down to just 1 to 2 meteors per hour. Do you have any unfulfilled dreams that you need to petition the heavens for? One myth from Ptolemy about wishing upon a falling star describes an image of the gods, normally uncaring and unable to hear petitions from humans. 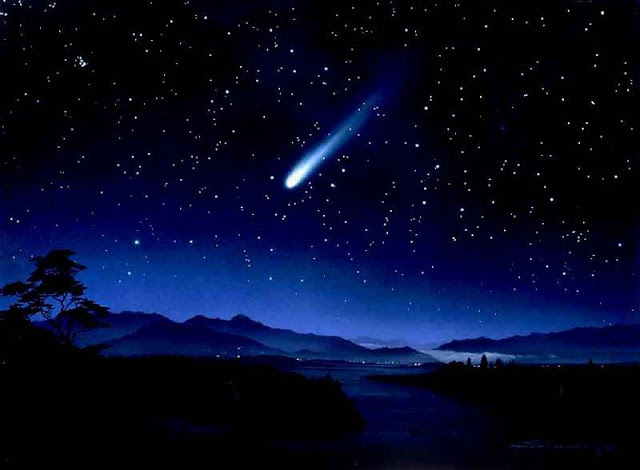 Legend has it that meteor showers are caused by the gods' occasional curiosity in human affairs. They peek over the edge of heaven and knock some stars down. In that instant, the rift between their realm and this one is momentarily opened, and they can hear anything you say to them. But you have to state the wish out loud while the falling star is still flying through the sky. When it disappears, the opportunity is lost. 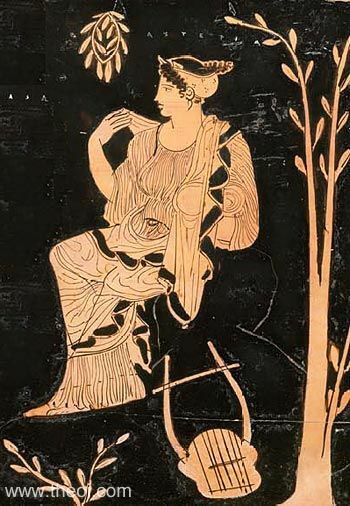 Asteria, Titan Goddess of Shooting Stars. Image: Theoi.com. 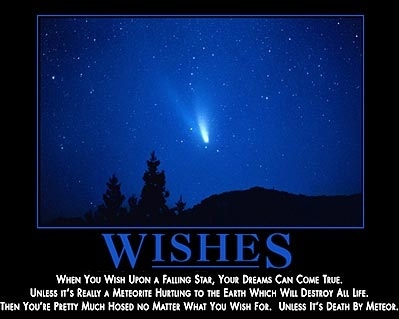 Others say that falling stars are bad luck, and somewhere in between they are entertaining balls of flaming space dust.